eNJOY IT IN-HOUSE OR ON-THE-GO! 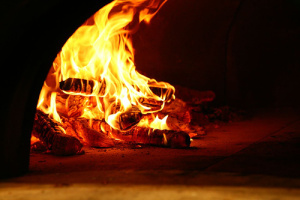 BAKED IN OUR HICKORY WOOD FIRE OVEN IN ABOUT 200 SECONDS, OUR NEAPOLITAN STYLE PIZZAS ARE MADE WITH OUR HOME MADE DOUGH. THEN WE TOP THEM WITH CRUSHED ROMA TOMATOES AND FRESH, REAL INGREDIENTS LIKE FRESH MOZZARELLA, FRESH BASIL, ROASTED VEGETABLES AND OTHER ALL NATURAL INGREDIENTS. EACH PIZZA IS ABOUT TEN INCHES IN DIAMETER. More ingredients, bigger in size; the kind of pizza you grew up eating. In the Mountain Fresh style though, all of our ingredients are freshly made and hand cut. 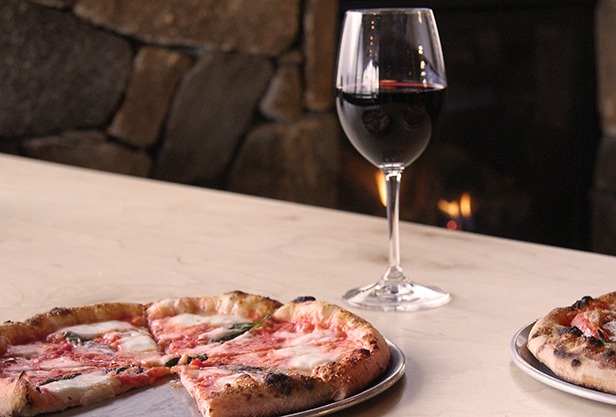 Wine and Beer available by the glass. See our current list. Italian White Cream Sauce, House-Made Italian Sausage, Caramelized Onions, Pecorino & Fresh Mozzarella. LEMON ROSEMARY SAUTÉED CHICKEN, CRISPY CHICKEN FRITTE, ITALIAN SAUSAGE, OR MEDITERRANEAN STEAK. THEN IT’S ALL SAUTÉED WITH FRESH LINGUINe PASTA, TOPPED WITH PARMIGIANO & SERVED WITH FRESH parmesan BREAD. FRESH ARUGULA TOSSED WITH OLIVE OIL, FRESH-SQUEEZED LEMON, SEA SALT, PEPPER, CHERRY TOMATOes, & pine nuts, topped WITH SHAVED PARMIGIANO-REGGIANO. Submarine Sandwiches / Hoagies All Subs served on a hoagie roll and come with pasta salad. House-made sweet Italian sausage with red and green peppers, pizza sauce, and mozzarella cheese. House-made meatballs on a hoagie roll with pizza sauce, provolone cheese, and parmesan. House made chicken Fritté smothered in Pomodoro sauce and topped with mozzarella cheese. Ham, salami, provolone cheese, spinach, banana peppers, vinaigrette, fresh onions and tomatoes.